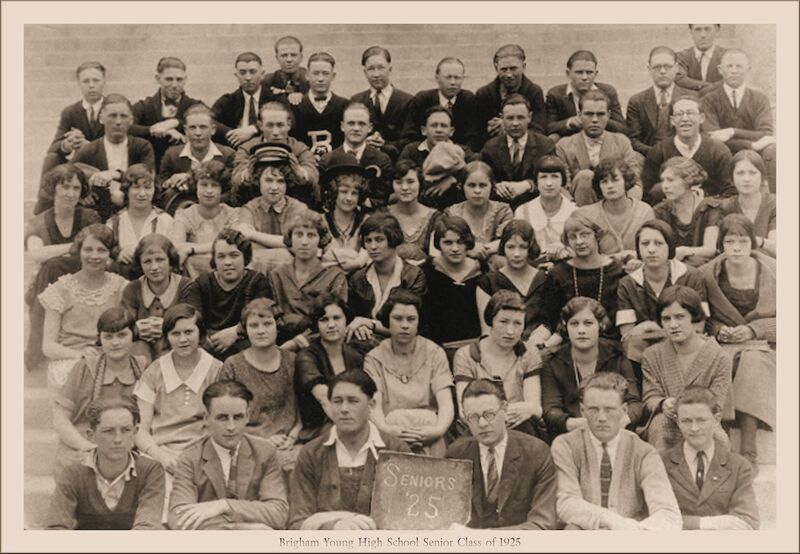 Special thanks to Brian Marshall for sending in this rare photograph featuring 54 unnamed members of the Brigham Young High School Class of 1925 as Juniors, and a faculty member standing in the back, who appears to be Franklin S. Harris. 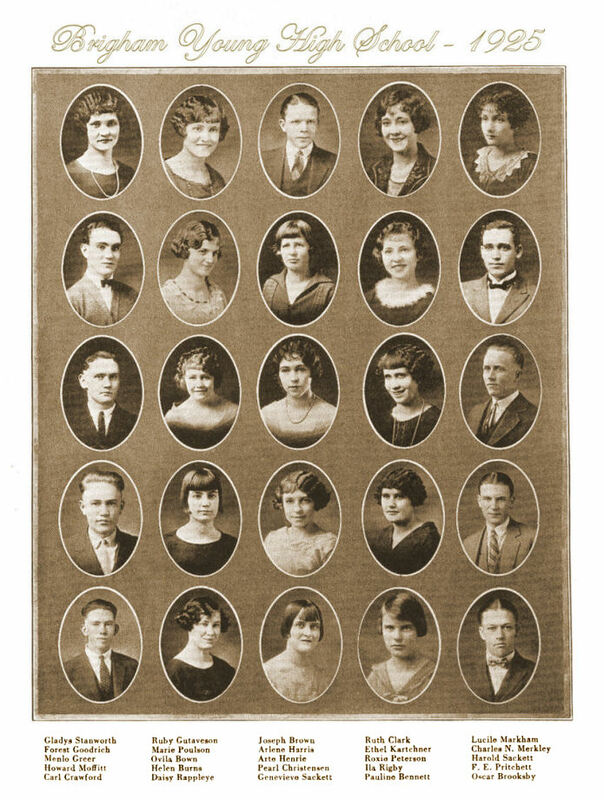 Brian's grandmother, Alta Eleanor Hayes, is on the third row from the bottom, third in from the right, wearing eyeglasses and a long necklace. Click on photo for larger version. 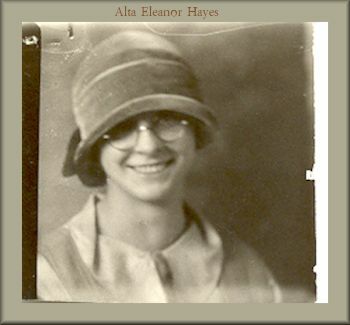 Alta Hayes was from Rigby, Idaho, and attended school with Philo T. Farnsworth [BYH 1924] both at Rigby High School and at Brigham Young High School. She was quite proud of her relationship with him and mentioned it often. Alta left BYH at the end of her Junior year, and returned to Rigby High School where she graduated. Alta then obtained a job as a school teacher in a one-room school house in Alpine, Wyoming. There she met her husband, William Wylie Marshall. Soon after they married, she moved back to Rigby, where she continued teaching for many years.